Fans of the Bombardier built Airbus A220 rejoice because your little pet project is about to get a lot bigger. Airbus has been so impressed by the orders and the feedback from clients that they are considering building a larger version of the A220. Wait, is there not already a bigger A220? Yes, you are correct. Originally, Bombardier designed two versions of the plane. 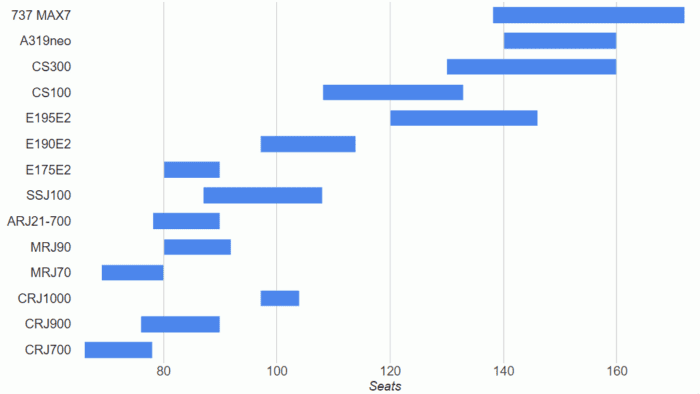 The CS100, seating 125 [passengers, and the CS300 that could seat 145 passengers. However, there have always been plans for a possible further stretch of the craft to seat 165 passengers. This has been dubbed the CS500. 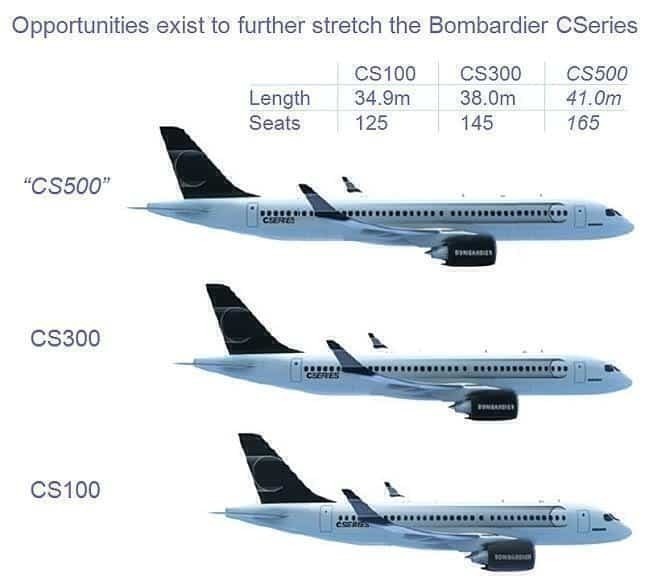 Since being bought by Airbus, the CS program has been redubbed into the A220-100 and the A220-300 respectively. What does Airbus think of this further stretch? Airbus has been rather enthusiastic about a possible further stretch of the aircraft. 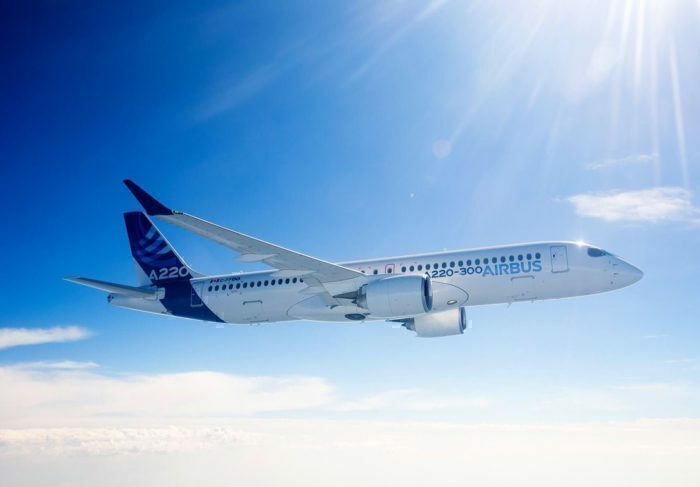 With current orders making the plane already successful around the world, Airbus can’t wait to see what more they can do with the Bombardier team. They are relatively cautious, however, waiting to see how the aircraft performs on the market (and if they can successfully ramp up production). Who is the A220-500 built for? Airbus is playing a little bit of a dangerous game. The A220/CS series was always designed for small regional airports and specific spoke to spoke routes (like the upcoming startup airline Moxy), and never really to compete with Airbus’s and Boeing’s main offerings, the A319/A320 and 737 series respectively. However, a further stretch to the A220-500 is now putting it into the realm of a competitor to Boeing’s most popular jet, the Boeing 737. Whilst the Airbus A320 is still a bit bigger than the -500 at 185+ seats, it is no mistake that they might accidentally cannibalize their own sales as well (after all a smaller plane is easier to fill). And this might really make Boeing go on their toes. Some say it might actually be a worthy competitor to the 737 (You can read our comparison vs article here). Airbus A220-300 inflight. Photo: Airbus. With Airbus finishing the construction and delivery of the new A220 in their Alabama plants, it seems that Boeing is running out of options to stop this new competitor from stealing market share under their noses. What do you think? Is the A220 a competitor to the 737 or has Boeing got nothing to worry about? How many hours can the A220-300 fly? The longest flight currently operating the A220 is a six-hour flight from Riga to Abu Dhabi. The A220-300 could fly 8+ hours with a 3200nmi/6000 km range, has ETOPS-180 rating and is transatlantic-capable (New York-London). Bombardier has always designed and developed high-quality aircraft. The CS-series with the larger seats, windows, and overhread bons could realyy give the 737-series a run for its money. It will be very interesting to see if the recent merging of Boeing and Embraer will produce a worthy “successor” to the 737 from an Embrar design. Exciting times in the aviation-design industry! The CS300/A220-300 already wiped out Boeing 737MAX-7 orders, and replaced the A319Neo. A stretched A220-500 would effectively terminate the Boeing 737MAX-8. Airbus should not wait another day and go ahead with the stretch very quickly and quietly, adding raked wingtips, more fuel capacity and an engine thrust bump. Meanwhile Boeing is fumbling with performance improvement packages to be offered for future 737MAX8’s. It’s quite possible that Airbus will wait too long and get caught with its pants down when Boeing-Embraer wakes up and bursts through the door. Airbus Corp – Build the new Airbus A220-500 !! The Boeing 737 is older then I am and it is an outdated design that was built in the 1960’s. all. The cost of this stretch to 700 is minimal because the 300 and 100 have already proved sucessful. Design wise is almost 90 % similar . As I understand the A220 was design as a -300 and was trimmed down in order to achieve the -100 and not the other way around. Which means that the first stretch would be the -500 making it very easy to make. The -700 would probably require quit a bit more work as more wing and structural work should be required. The A220 500 or 600 would be an excellent add – there are airline right now saying what are our options for our B737 Max. The A220 could be perfect to grab market share for Airbus. My understanding is the design was built for a 500 from scratch!